The Peninsula Dental Social Enterprise is offering special clinics for children at its Dental Education Facilities (DEFs) in Derriford, Devonport and Truro. 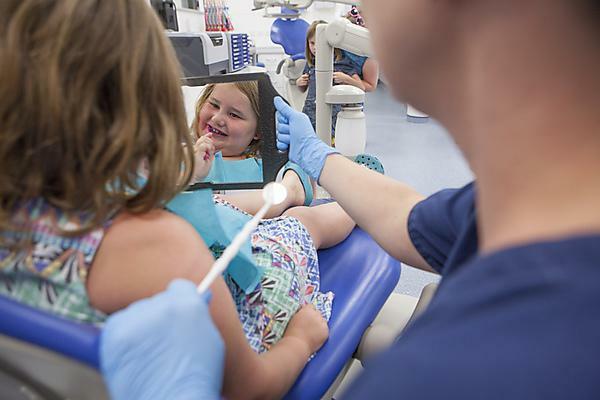 Designed to give children the best start in dental health care, young patients are treated by dental and dental hygiene and therapy students from Plymouth University under the supervision of qualified dental health professionals. Appointments take a little longer than at a standard dental practice because there is a teaching element to each consultation, but the environment is fun, supportive and all about taking away fear of the dentist and improving the oral health of the region’s children. Treatments are available for children from young babies to the age of 13. Clinics take place on Thursdays between 09.15 and 16.00 in the Plymouth DEFs, and 09.15 and midday in Truro, from late September through to early June. For details about the timing of clinics and to make an appointment, please call 0345 1558109. A wide range of treatments are available, from check-ups to fillings. There is also plenty of support and advice for parents about how to keep their children’s teeth nice and healthy.